My boys love all kinds of toys and they aren't scared by pink, so it was their choice to accept a Smooshins Surprise Maker Kit for review. The kit contains everything you need to make 4 different 8cm tall Smooshins - colourful, tactile and cute hand-sized characters - and you start with a Colour Pouch full of two-part liquid and a Smooshin Maker. 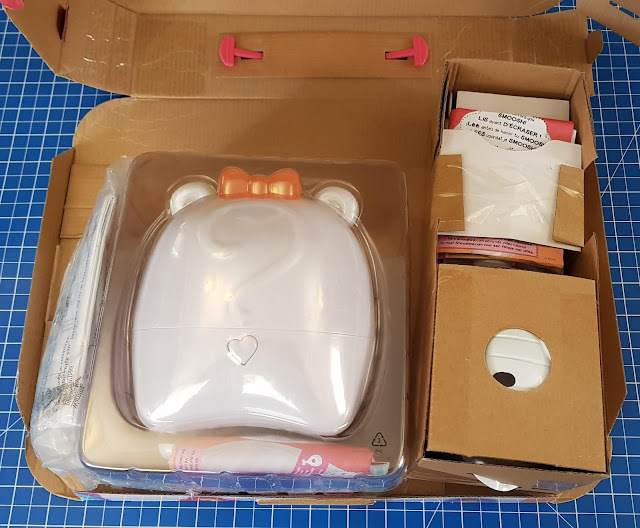 The box is a strange shape which isn't incredibly useful for storage and there are some necessary plastic bags, but unpacking is 5 minutes. You will need a small phillips screwdriver and 3 x AAA batteries (not included), but then you can read the instructions and start straightaway. Fairly Christmas morning friendly. The Kit contains 2 Surprise Character Moulds in disposable secret surprise eggs, 4 Colour Pouches, 4 Headpieces, 4 Faces, 4 Bellies, 4 Character Stands and 1 Special Pouch Squeezing Tool which is also a 'key' to unlock the egg surrounding the Surprise Character Mould. The Surprise Character Moulds can be any of 6 different characters - Puppy, Kitty, Bunny, Pony, Twin Kitties or Bear. Add to this the headpieces, bellies, faces and colours and there are over 10,000 different design combinations possible. You are very unlikely to ever see another Smooshin quite like your own. Making your Smooshin is really time sensitive and you need to read the instructions and have everything ready before you start. The two-part liquid which makes the body of the Smooshin starts to expand and set after a couple of minutes. It makes it very exciting and a bit nerve-wracking! The Colour Pouches contain a milky white liquid and a bag of colour. First you need to pop the bag of colour. It's really strong, so you have to really bash it with the side of your fist to pop it. Once popped, set a timer for 1 minute 30 seconds. Mix the colour and the milky liquid completely. Use any method you can - squeeze, twist, pedal and get everything mixed in together. Ensure the inside 'bag' is emptied of the colour liquid as best you can. We found cycling with your hands was the best way to mix most of the liquid. Step 3. Squeeze. Remove the cap and attach the Colour Pouch to the top of the Smooshin Maker. It needs to go in and twist, the bow tie will light up to let you know it's fastened on properly. You then have 30 more seconds to squeeze all of the mix out of the colour pod. 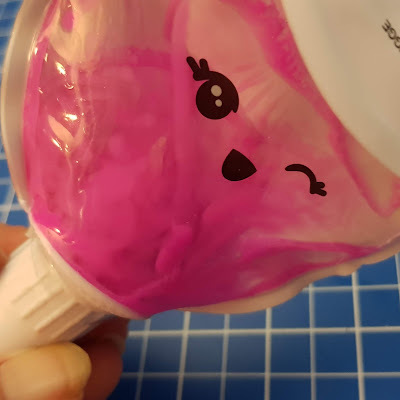 There is a little seal inside, so you will need to apply some pressure at first to get it to start, then use the Pouch Squeezing Tool to roll up the pod tightly and empty it as much as you can. Press the last bit out with your fingers and leave the Colour Pod fastened to the Smooshin Maker for now. Step 4. Grow. 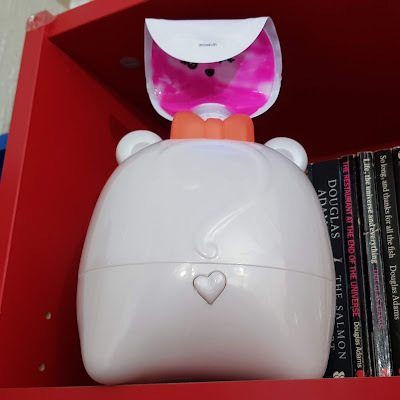 The coloured lights on the Smooshin Maker let you know when your 30 seconds squeezing time is up, and then you step away and leave the Smooshin alone for at least the next 4 hours, and overnight is much better. 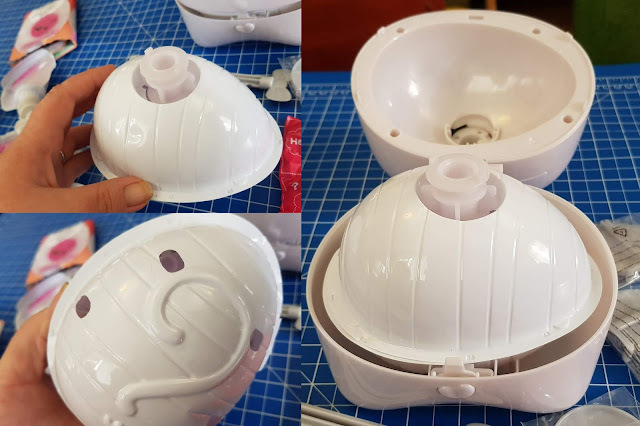 Again, the lights let you know when the 4 hours minimum time has passed and you can remove the empty colour pouch (straight in the bin) and take out the Smooshin Mold Egg now, but DO NOT OPEN the egg or mold yet. 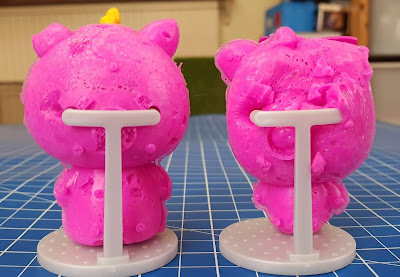 The mold must have a minimum of overnight to grow and set or your character will not be properly formed and might droop and appear to melt. You can however now choose to start another Smooshin in the Smooshin maker, so it is possible to have 2 to be ready for the next morning. After leaving it overnight, use the Pouch Squeezing Tool to open any surprise eggs, although we found that wasn't ideal and resorted to fingers. 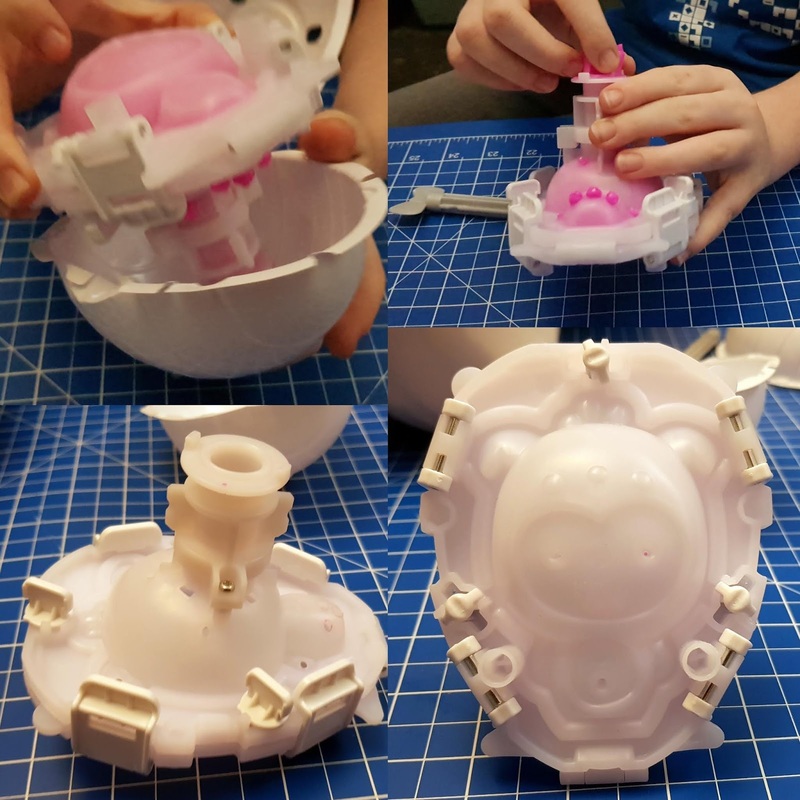 You can then use it to open the mold - this works really well. And voila - your Smooshin is revealed! Step 6. Tidy up and accessorise. 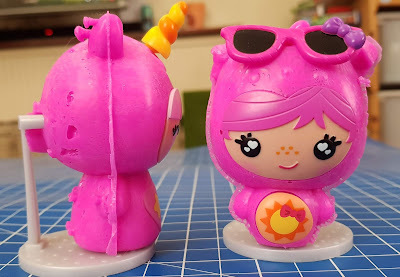 The Smooshin might have a little loose foamy material around seams which you may want to tidy up and when it first comes out it can feel a bit tacky, be careful with it until it dries out in the air. We found it only took a couple of minutes. Open the surprise accessories and complete your character with a belly, face and headpiece. Our first Smooshin did suffer because we didn't entirely squeeze the contents of the pouch into the mold, so be careful to add it all. Our bag of colour also got stuck inside the neck of the Colour Pouch and I think we were more nervous about doing it right than just using common sense and doing it. Pop the bag of colour, mix the liquids, make sure the bag of colour is empty and out of the way, and then empty the Colour Pouch. My boys loved making Smooshins. It's science in so many ways and fascinating just how big the finished Smoohins are. They really expand and that tiny Colour Pouch creates a large hand-sized character which is an impressive 8cm tall. 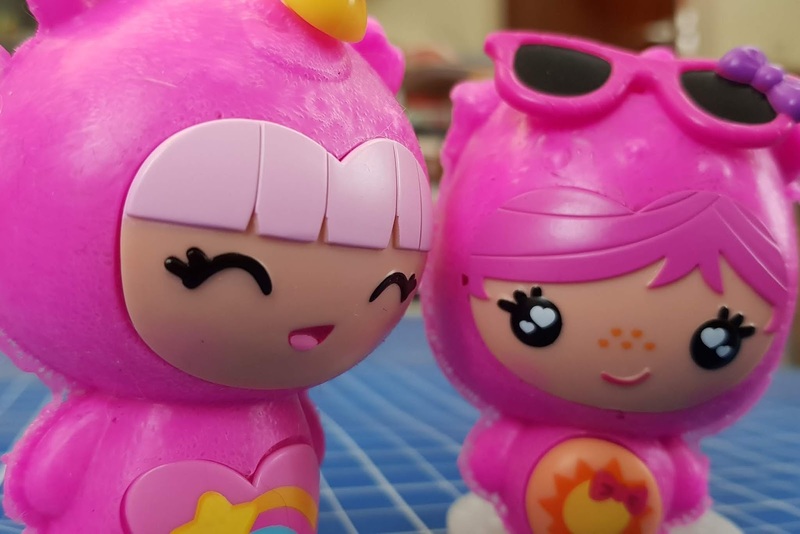 The Smooshins are an excellent fidget toy as they are squishy and pleasant to the touch, with a warmer feel than plastic or metal. They are the perfect size and shape to cuddle in a hand. 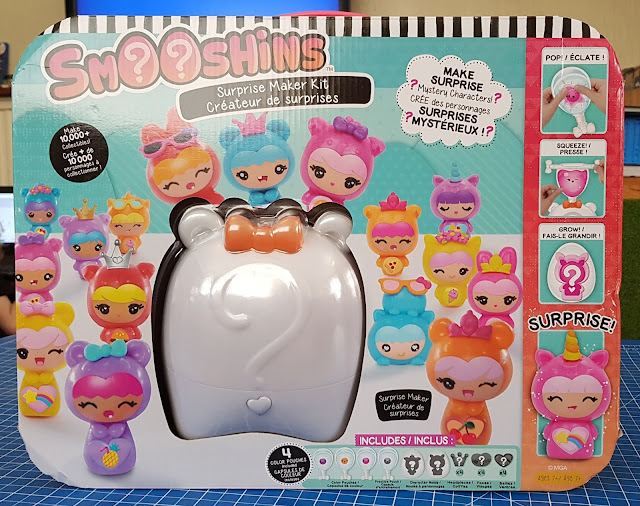 Smooshins Surprise Maker Kit is available to buy now priced £49.99 rrp, which is fair value for the experience and end product. 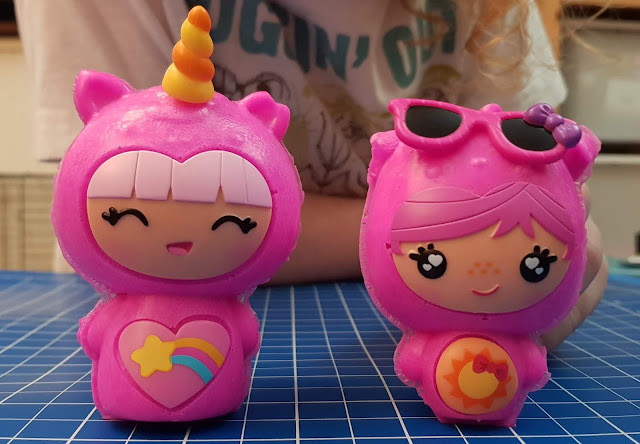 You can also buy replacement Surprise Character Molds (which come with a Colour Pouch, set of accessories and stand) for £14.99 rrp and Smooshins Surprise Colour Pouch Refill £9.99rrp. 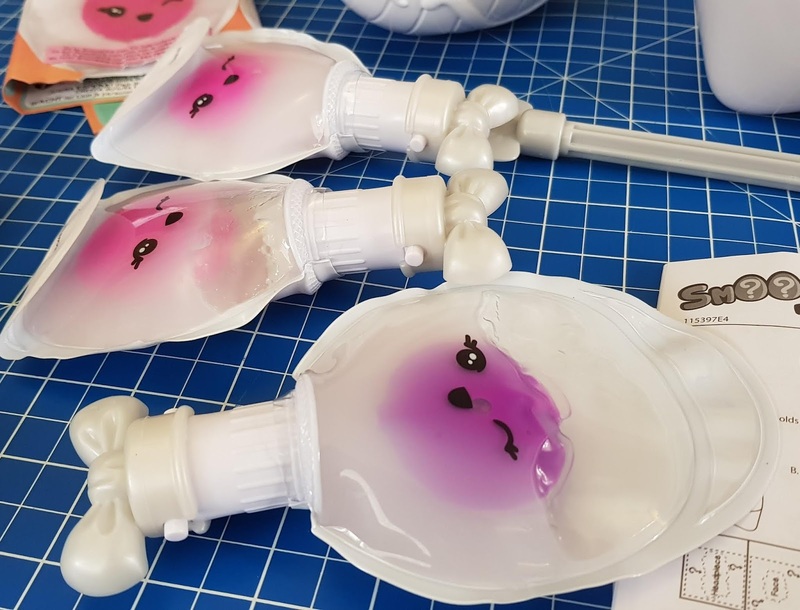 There are 6 different colours available, Blue, Orange, Pink, Purple, Red, and Yellow, and each comes with a set of accessories and stand to complete your Smooshin using a mold you already have. The molds we feel represent good value, shop around for colour pouch refills because offers are available, especially for multibuys. Smooshins are available now from Smyths and all good toy stores. All Smooshins products are suitable for children aged 7+, find out more on the Smooshins website. 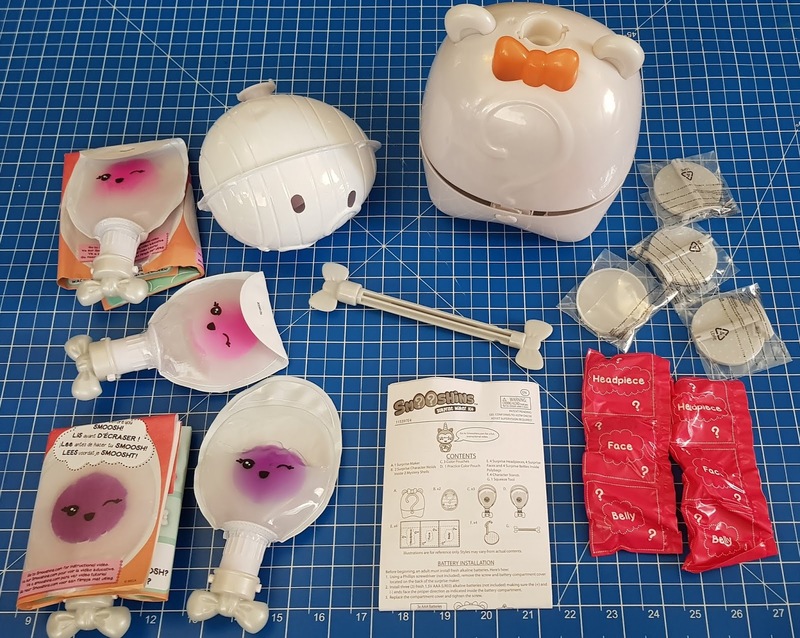 We were sent our Smooshins Surprise Maker Kit for review.